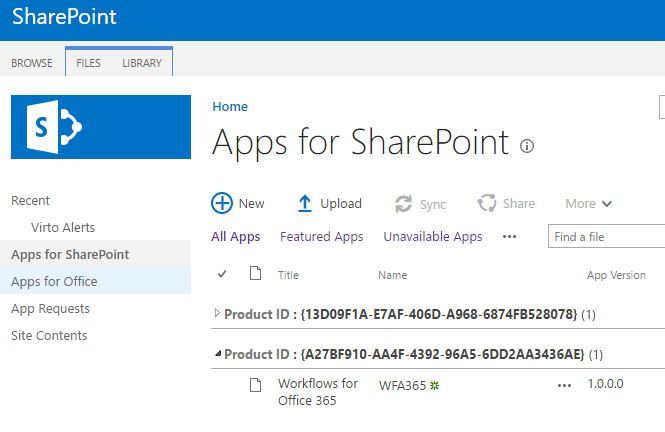 Depending on your O365 subscription plan you will need to navigate to your app catalog directly using the web address: https://[your_domain_name].sharepoint.com/sites/AppCatalog/. 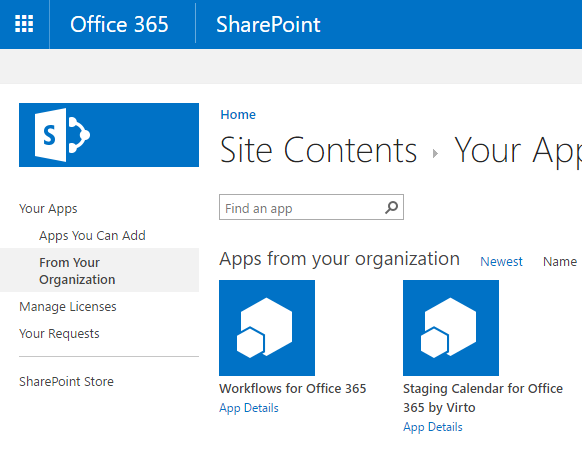 4) Choose the link "From Your Organization", click "Workflows for Office 365 by Virto" icon and trust it. 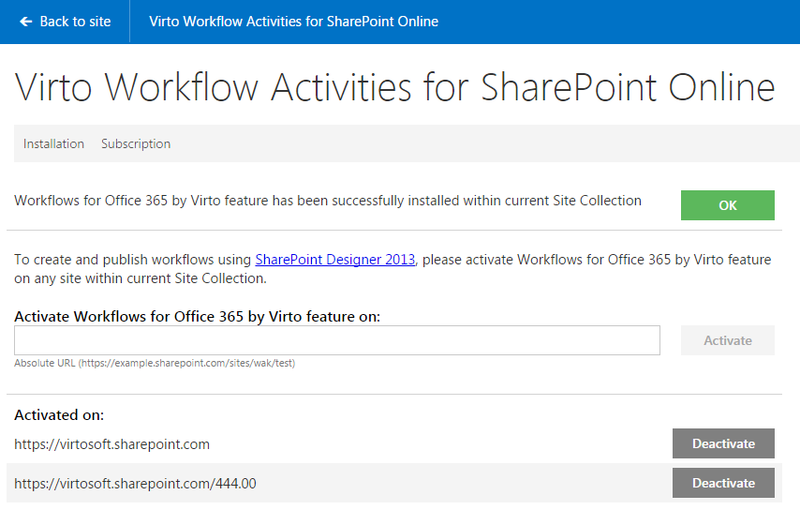 5) Once you have installed Virto Workflows for Office 365 please open the add-in from the Site Contents. Please click install Button if required. Once you can see green OK button, please type URL of Site within current site collection, where you want to publish Virto workflows. 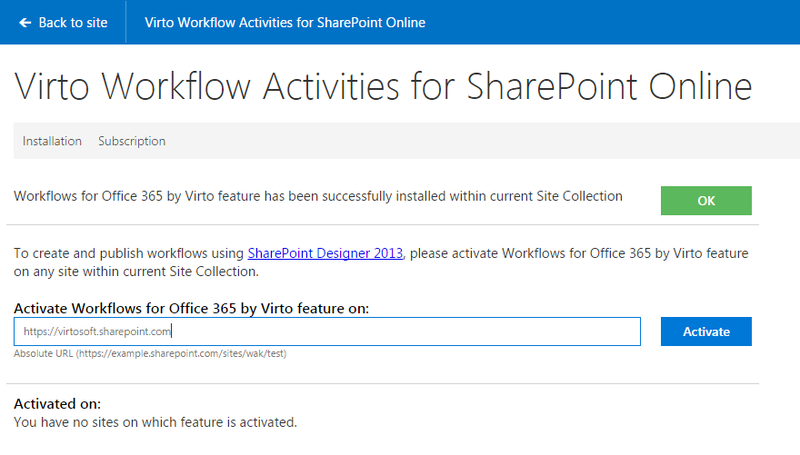 6) Once you have activated Virto Workflows for Office 365 on a particular site, you can run SharePoint Designer 2013, connect to that site and you will be able to see all Virto custom actions in the list of activities.